Classical violinist Szymon Kuran was the unlikely person to conduct the upbeat disco track ‘Minn hinsti dans’, the Icelandic Eurovision entry in 1997, performed by Paul Oscar. 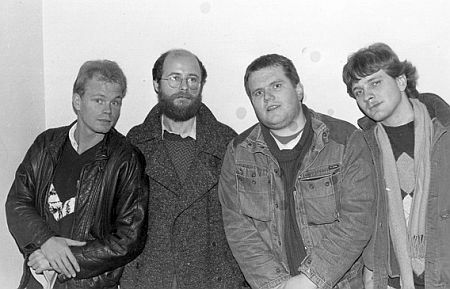 Kuran, who also co-wrote the score to Iceland’s participation in the contest in 1993 in collaboration with Jon Kjell Seljeseth, penned the string arrangement to Paul Oscar’s song himself. ‘Minn hinsti dans’ finished in a twentieth position. Szymon Kuran, born in Szeligi, a village close to Warsaw, grew up in a working-class family in the Polish capital, his father Tadeusz being a factory worker and his mother earning some extra money as a seamstress. Tadeusz Kuran, who seems to have been quite sensitive to music, harboured a secret dream of becoming a violin builder, in fact making all the parts needed to make one. It was his son who, much later, gave these to a violin builder who finished the job; Szymon used this instrument as his main violin during the last years of his life. Thanks to his father, who had taught him the first lessons, young Szymon was allowed to take violin lessons with private teachers from the age of eight onwards, most notably composer and violinist Witold Krotkiewski. With the violin as his main instrument and having taken courses in composition and the obligatory theory subjects as well, Szymon Kuran graduated from the Moniuszko Academy in 1980. 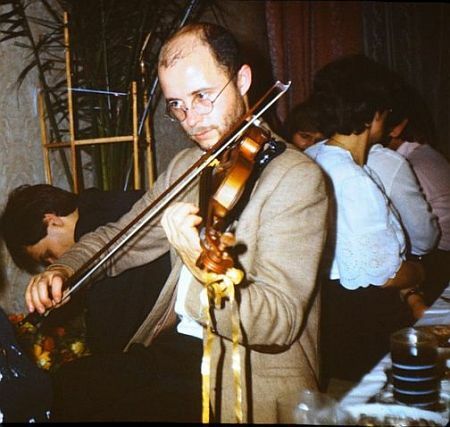 After spending one year (1980-’81) in the newly established Polish Chamber Philharmonic Orchestra in Sopot, an orchestra for young music professionals and the brainchild of conductor Wojciech Rajski, Szymon Kuran became the concertmaster of the Polish Baltic Philharmonic in Gdańsk, a position he held for two years (1981-’83). Subsequently, receiving a scholarship from the Polish state, Kuran was allowed one year of additional studies of the violin and composition at the National Centre for Orchestral Studies of the Goldsmiths’ College (University of London) in England. 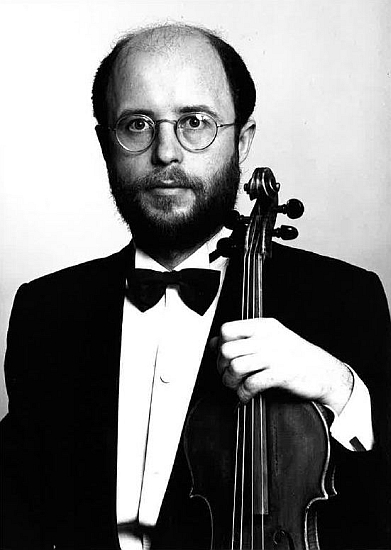 In response to an advertisement, Szymon Kuran came to Reykjavík to audition for second concertmaster in the Iceland Symphony Orchestra in 1984 and was chosen for the job. Guðrún Sigurðardóttir, an Icelandic musician who later became Kuran’s wife: “There were no political reasons Szymon did not want to go back to Poland. For artists, however, life in Poland was a struggle and Szymon, being a creative musician, was simply looking for an opportunity to work and he found it in Reykjavík. His exceptional talent was immediately recognized at the audition with the orchestra.” Szymon Kuran stayed with the Iceland Symphonic for sixteen years, playing the solo violin in several performances, most notably the Icelandic premieres of Andrzej Panufnik’s Violin Concerto (in 1993) and Karol Szymanowski’s First Violin Concerto (in 1996); he also performed the former of these two concerts with the Norðurland Symphonic in Akureyri. Later onwards, he worked as the concertmaster of the Norðurland Symphony Orchestra as well as the Orchestra of the Icelandic Opera for some time. 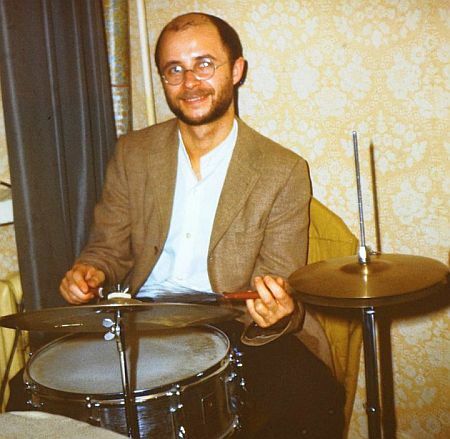 As a session player, Szymon Kuran was much in demand from the 1980s onwards, playing on countless recordings for pop and film music. In particular, he worked extensively with the renowned Icelandic film composer Hilmar Örn Hilmarsson, for whom he recorded the violin parts in no fewer than ten soundtracks: ‘Children of nature’ (1991), ‘The secret weapon’ (1995), ‘Wildside’ (1998), ‘Foreign fields’, ‘Angels of the universe’ (both from 2000), ‘Falcons’, ‘Horse story’ (both from 2002), ‘Nu’, ‘In the cut’ (both from 2003), and ‘When children play in the sky’ (2006). Apart from working as a session player, Szymon Kuran was also regularly asked to write arrangements for studio projects, amongst others for the renowned Icelandic folk band Rio Trio. 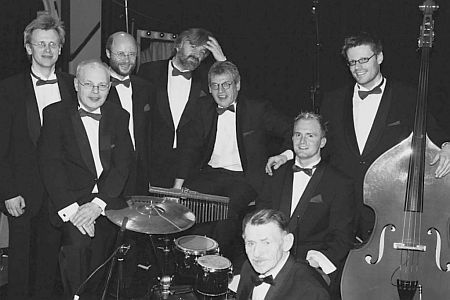 In 1995, Kuran penned part of the scores for Paul Oscar’s cover album ‘Palli’, whilst producer Jon Kjell Seljeseth sometimes called upon his help when a string arrangement was required. Moreover, he wrote the orchestration to Gunnar Þórðarson’s first classical composition, ‘Nocturne’, which was released in 1987. Throughout his career, Szymon Kuran engaged in composing classical music. During his student days in Gdańsk, he wrote several works, including a Sinfonia Concertante dedicated to the memory of Dimitri Shostakovich (1977), and a Nocturne for piano (1978), for which he was awarded with the first prize in composition and arrangement at the International Festival of Sacral Music 1978 in Warsaw. Later onwards, amongst other works, he added a Post Mortem for Strings (1981) and a Square for violin, flute, clarinet, and cello (1984) to his oeuvre. In 1991, Kuran finished ‘In the light of eternity’, a most unusual mass in jazz style, on which he had been working for over fifteen years. Many of Kuran’s classical works were premiered by the Iceland Symphony Orchestra. In 1999 and 2003, he also wrote two ballets, but Szymon Kuran’s main work is without a doubt his Requiem for children’s voice, solo violin, flute, guitar, three choirs, a string orchestra, and percussion, dedicated to the memory of Brynhildur Sigurðardóttir, which he finished after six years of composing in 2000. 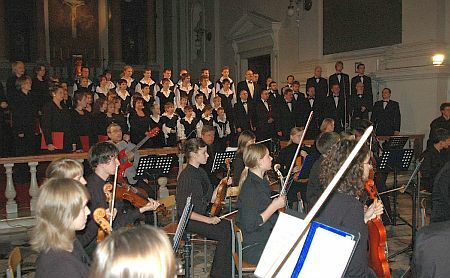 The Icelandic premiere of Kuran’s requiem took place in Reykjavík’s Basilica of Christ the King, the main Roman Catholic church in Iceland, April 2001. Five years later, one year after Kuran’s passing away, the piece was first performed in Poland in the All Saints’ Church in Warsaw. Szymon Kuran, who was awarded with the so-called Borgarlistmaður, the Artist of the Year Prize of the City of Reykjavík in 1994, also worked as a private violin teacher in Iceland. In the last years of his life, he suffered from severe depressions, which hardly allowed him to continue his professional activities. 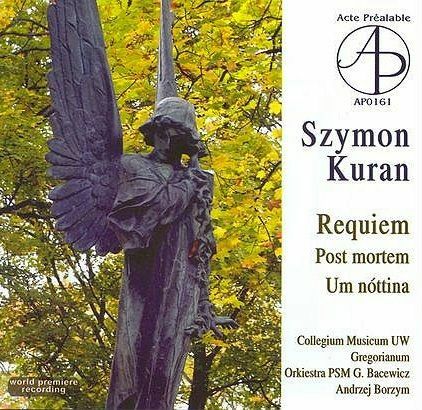 Szymon Kuran passed away in August 2005, aged forty-nine. Given Szymon Kuran’s background as a classically trained violinist who was one of the most highly regarded members of the Iceland Symphony Orchestra, it must have come as a surprise to him as well that he found himself conducting the rebellious disco entry ‘Minn hinsti dans’, Iceland’s participation to the 1997 Eurovision Song Contest in Dublin. Nonetheless, on closer examination, Szymon Kuran’s involvement in the festival runs deeper than just this one entry. Some further investigation now proves that he did. As it turns out, vocals were added to the first demo by Esther Talia Casey, the daughter of a friend, while her husband Ólafur Egill Egilsson came up with some guitar lines. The couple recorded a second demo, with provisional English lyrics to suit the melody: ‘Love is a fool’. Esther Talia Casey recalls: “Szymon requested me to sing the demo for him. We recorded it in the studio of our neighbour, a guitarist. Szymon was very humble about the project and I think he was just doing it for fun… but I cannot be sure.” Kuran himself sent this new demo version to Icelandic television, but his creation was rejected. In the summer of 2005, he passed away. Thanks to Jon Kjell Seljeseth, Esther Talia Casey, and Ólafur Egill Egilsson, who allowed us to publish the demos, we can listen to both versions of ‘Love is a fool’ for the first time now. In the course of 2012, Bas Tukker talked to several people who worked with Szymon Kuran over the years, most notably his ex-wife Guðrún Theodora Sigurðardóttir, as well as with: Zbigniew Dubik, Hilmar Örn Hilmarsson, Jon Kjell Seljeseth, Hjálmar H. Ragnarsson, Jón Ólafsson, and Gunnar Þórðarson. 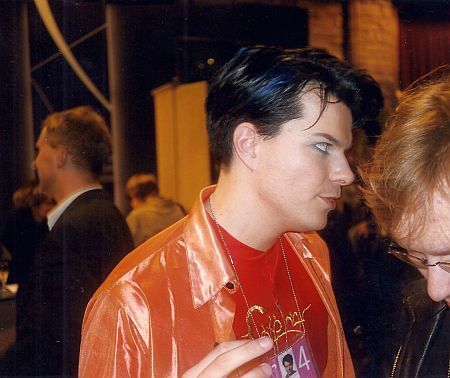 Bas Tukker interviewed Páll Óskar Hjálmtýsson (Paul Oscar) about his experiences of working with Szymon Kuran, amongst others on the 1997 Eurovision Song Contest project (August 2012). A book about Iceland’s involvement in the Eurovision Song Contest: Gylfi Garðarsson, “Gleðibankabókin”, Reykjavík (ed. NótuÚtgáfan) 2011 (first edition). Some factual information was derived from various CD booklets and online obituaries, of which the following is the most thorough: www.mbl.is/greinasafn/grein/1031937. Many thanks to Jon Kjell Seljeseth, Esther Talia Casey, and Ólafur Egill Egilsson for allowing us to publish both demo versions of ‘Love is a fool’. Thanks to Kasia Lasota-Szydlik for helping us to understand the Polish concept (and orthography!) of żał. Photos courtesy of Guðrún Theodora Sigurðardóttir, the Icelandic Symphonic Orchestra, and Ferry van der Zant.